With age, your skin is bound to undergo changes. It automatically tends to become thinner, loses the smoothness, the fat and the plump look with time. Substances that occur naturally in your skin and they provide elasticity and fullness to your skin are essential for younger appearance. With age, these are lost and you could see wrinkles developing. However, at Nitai Medical and Cosmetic Centre, we are here to help you find a solution that provides you long-term skin revitalization and rejuvenation with the use of the best platelet rich plasma therapy in Melbourne. Essential substances for cell regeneration is actually activated effectively with the help of growth factors known as Platelet-Rich Plasma or PRP that is extracted from your very own blood. These cells are then applied in the problem areas of your face. Studies have shown that PRP works effectively in promoting cell regeneration and bringing about long-term skin replenishment and complete rejuvenation. At Nitai Medical and Cosmetic Centre we offer the highest quality PRP injections in Melbourne that lead to a replenished, radiant, and youthful skin. It causes a dramatic reduction in wrinkles and fine lines because of the fresh new cell growth. The platelet rich plasma in Melbourne is an effective Cosmetic Medicine procedure used for Complete Face Rejuvenation, Crepey neck, Décolletage, Eye area, Wrinkles and Fine lines. Our expert and experienced team at Nitai Medical and Cosmetic Centre would be using this revolutionary method for textural enhancement of lacklustre & dull skin including skin at the back of your hands, and even the body. What Do You Understand by Platelet Rich Plasma Therapy? Platelet Rich Plasma Therapy is supposed to be a revolutionary treatment that has been designed to regenerate, revitalize and rejuvenate skin affected by aging and scarring. PRP is often called the Vampire Facial and it harvests concentrated plasma that is rich in platelets, from the patient’s blood only. When PRP injections are administered at our clinic in Melbourne, natural stem cells and powerful growth factors are released by these rich platelets. The growth factors have been particularly designed to remarkably boost regeneration and skin tissue restructuring. Is PRP Treatment in Melbourne Safe? A platelet rich plasma treatment in Melbourne is supposed to be a safe treatment with a known risk profile since it makes use of your own cells and could be used anywhere on the body including under your eyes or even the eyelids. PRP injections Melbourne are particularly effective for wrinkles since they treat fine lines and lax skin on your face leading to the most natural and delightful outcomes. This is a very efficient procedure in reviving and restoring the lost youthfulness and charm of your skin and rewinding the damage caused by the environment and time. We at Nitai Medical & Cosmetic Centre take immense pride in offering the effective PRP at our state-of-the-art Melbourne clinic. The Benefits of PRP Injections in Melbourne? Approximately 30 minutes every two tubes. The following Video clearly demonstrates how wrinkles present around the eyes could be treated effectively using the PRP injections in Melbourne. Is a definitely comfortable and a fast procedure. Just before initiating the procedure, you would find that someone is applying a numbing cream on your affected skin for minimizing any sort of discomfort associated with PRP injections. Then a very small quantity of blood is drawn right from your arm. The amount of blood drawn would be about 10ml-20ml. Then the drawn blood is kept in a specifically designed and sterile vial that is inserted into a really specialized centrifuge that is preparing the PRP therapy blood. The blood is churned in a vial separating it into three distinct cell types, red blood cells, platelets and white blood cells. The richest platelet portion of the PRP is effectively injected into the affected area of the skin. Often, for extra efficacy, these platelets are infused further into the skin via skin needling. Growth factors are stimulated immediately thus leading to a rejuvenated and youthful skin. Usually, three PRP injection therapies are recommended for obtaining optimal results, however, you could come across visible improvements after only one treatment. Does PRP therapy in Melbourne hurt? Some patients may experience a little bit of discomfort. As such anaesthesia could be administered before the treatment for ensuring greater comfort. 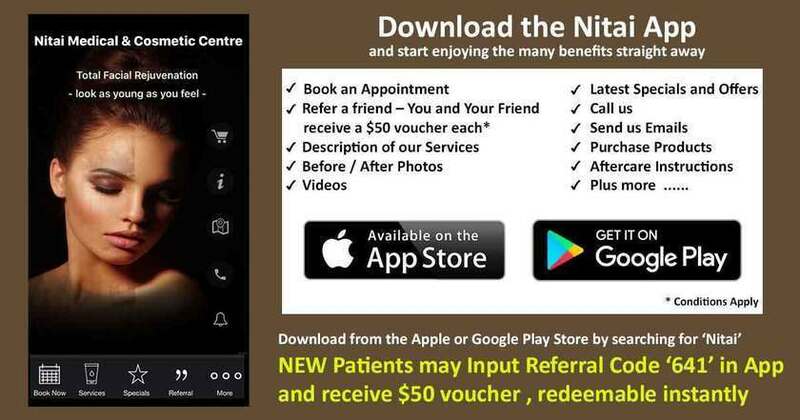 Nitai Medical & Cosmetic Centre performs painless and effective platelet rich plasma therapy in Melbourne. We focus on giving a high standard of patient care and a wonderful patient experience. We try our best to ensure maximum ease, convenience, and comfort. We perform painless and effective PRP in Melbourne. All treatments are performed under the strict supervision of Dr. Shobhna Singh at our clinic that boasts of cutting-edge technology and state-of-the-art equipment. We fully appreciate the necessity of a hygienic setting and we make it a point to use the only sterile technique. If you wish to get more precise costs and detailed information, you could call us up and schedule an appointment with our experienced and certified doctor.